Kim Baker of Santa Fe, Texas, shows how to create these trendy nails that look like a rose encapsulated in glass. Follow her on Instagram and YouTube @tenlittlecanvases. 1. 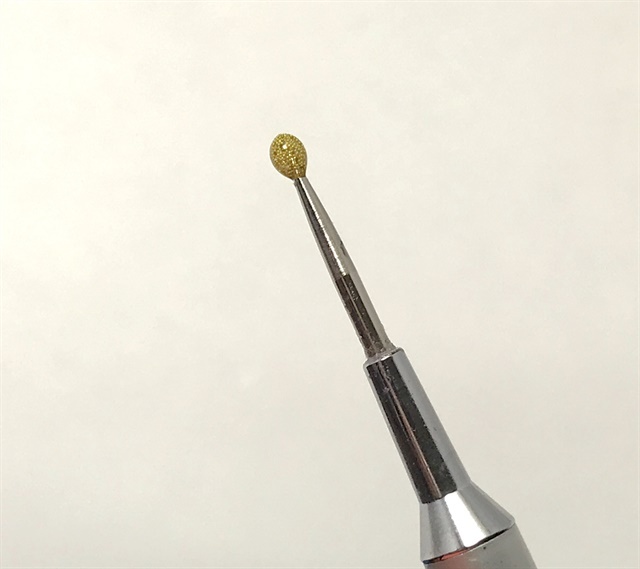 Dip the tip of a pointed stylus or dotter in clear hard gel and let it settle into a small ball. Cure. 2. 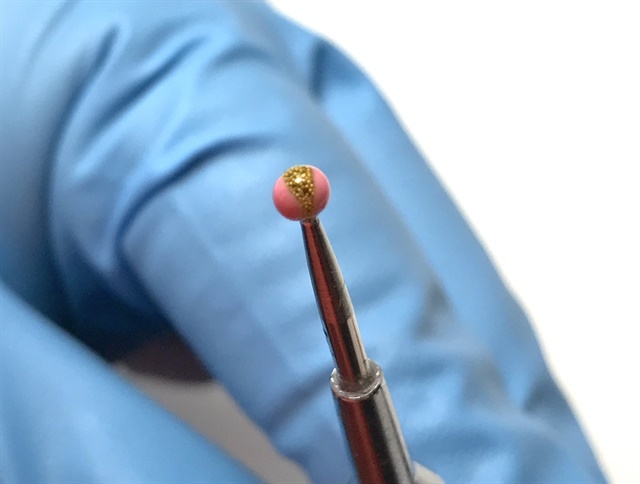 Paint the cured ball with gel-polish, or add caviar beads or glitter. 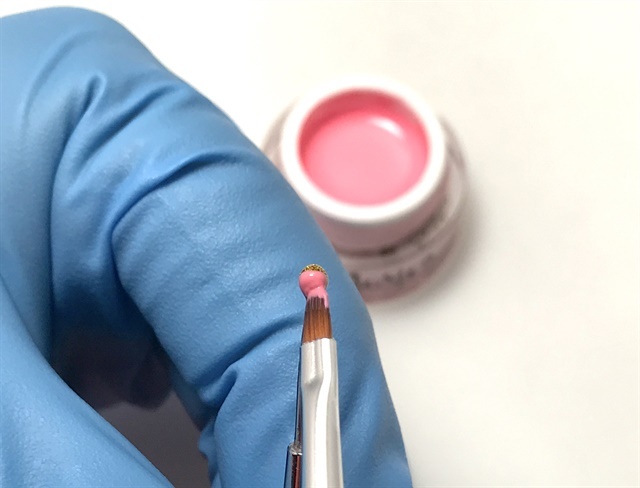 Cover the embellishments with more clear gel and cure. 3. Paint two petals on the ball, making the petal wider at the top and narrow towards the bottom. Don’t completely paint over the top of the ball but be sure to paint all the way to the bottom. 4. Look at the top to make sure you can still see some of the center. Cure. 5. 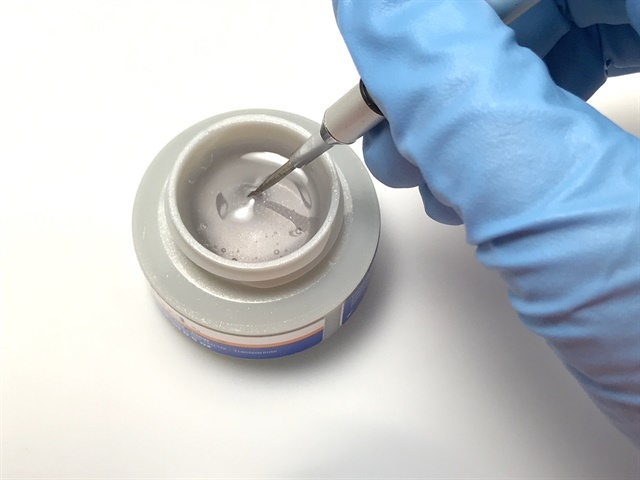 Dip the ball into the clear gel and turn the stylus until the gel settles into a round shape. Cure. 6. Paint the next set of petals in between the first two and slightly below them. Cure. 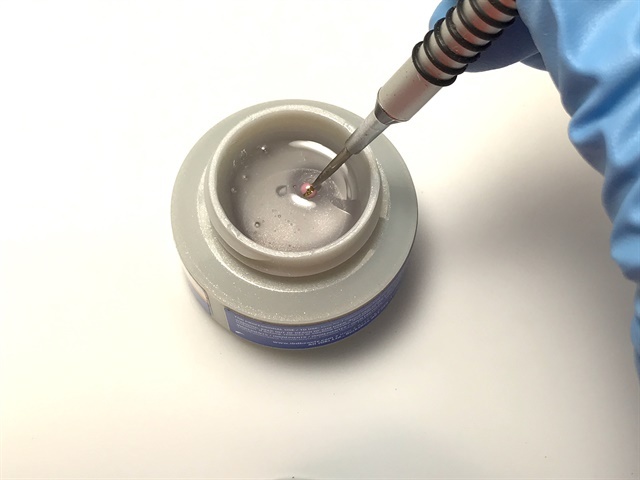 Dip the ball in the clear gel, turning to let it round out. Cure. 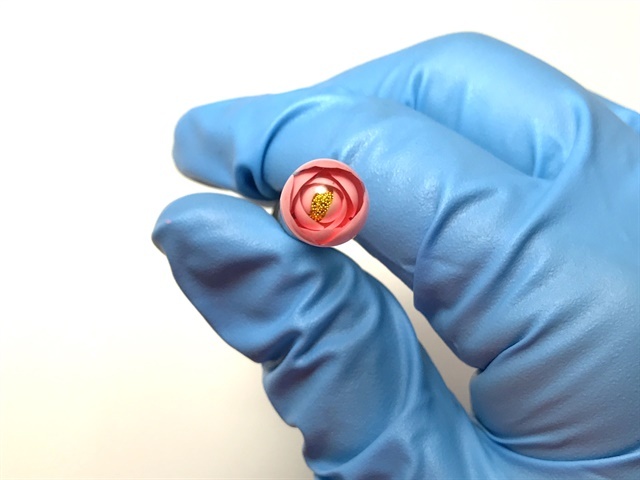 Paint the next set of three petals, making sure to keep each set of petals slightly below the previous ones. Cure. 7. 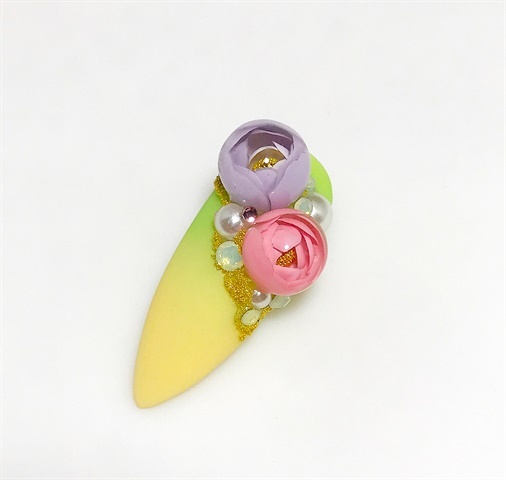 Repeat the process until you have the desired size flower bead. Apply a thin coat of top coat and cure. Remove any tacky layer. 8. 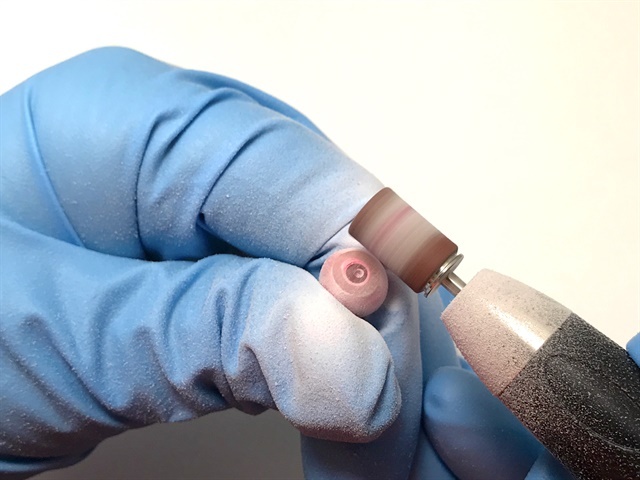 Twist the ball off the stylus and file the bottom flat with a coarse-grit hand file or an e-file. 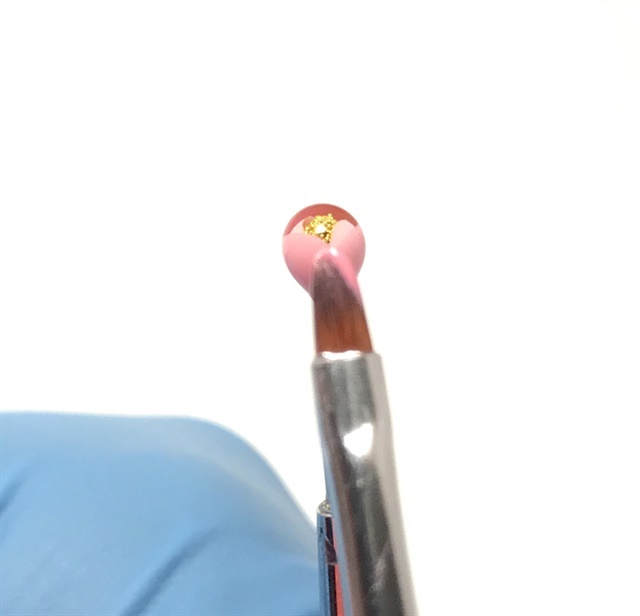 Apply the finished ball to the nail with a gem gel or hard gel. Click here to see a video tutorial of this candy ball nail design. Click here to see more candy ball nail art.